The Canadian Nuclear Association held their annual conference in Ottawa on February 21-23, 2018. 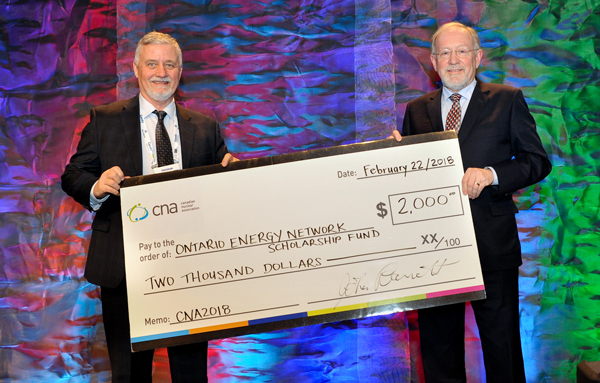 Dr. John Barrett, Chair & CEO of CNA, is seen here presenting a contribution toward the OEN Scholarship Fund to John Loucks, OEN President & CEO. Annette Verschuren O.C., Chair & Chief Executive Officer NRSTOR Inc.